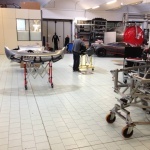 The Pagani Huayra Prototype 5 changes again its dress. 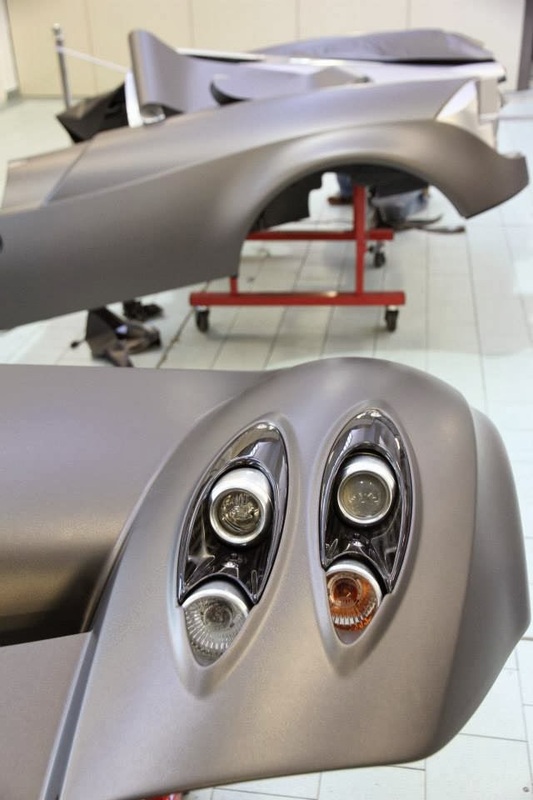 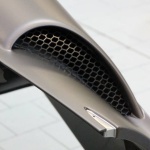 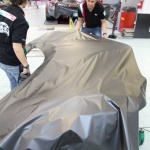 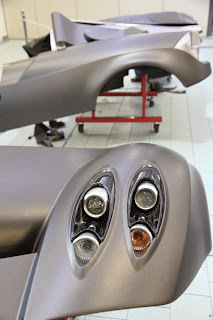 Today Car Wrapping Milano has published on their Face Book page a great album about the Huayra Prototype 5 being wrapped. 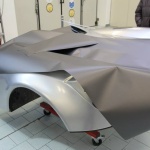 After many kind of wraps like the Mille Miglia Edition, the Goodwood Edition and the Gold Edition the car is now receiving this new matt grey vinyl.